What are the top five priorities for people who live simple lives? What kind of values do true minimalists have? 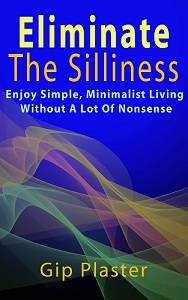 To start 2012, I’d like to refine a list of what it means to live a simple, deliberate life. Here’s my first attempt. I hope you’ll offer your comments below and help me perfect this list. You cut your spending on nonessential items, eliminate unnecessary bills and simplify your financial relationships to eliminate wasted money and excess in as many forms as possible. You balance your time between work your enjoy and entertainment that adds value to your life. You know when to limit your entertainment, when to limit your work and when to stop either of them to be with real people who have meaning to you. 3. Get rid of stuff. You don’t own things just because you can afford them, and you don’t own more cars, clothes, gadgets or gear than you need for the kind of simple life you desire. You loosen your attachment to things and cut clutter from you home, your brain and your life in general. 4. Think about food and health. You take actions that improve your health and eating habits when you can. You aren’t necessarily a fanatic about health and fitness, but you strive to improve every area of your life, including how well your body works. 5. Are a complete person. You don’t allow your life to be dominated by any one thing, person or situation. You recognize your emotional, physical and spiritual needs and act to fulfill them all. You understand that denying yourself something that your soul, brain or body finds essential is a poor choice. This is my first attempt at this five-point definition of a simple, deliberate life that I hope will become an important part of this blog’s future. With your input, I’ll refine it, and we’ll discuss it in more detail in future posts. Is this list of priorities too specific, too extensive or lacking some essential elements? I look forward to your opinions. This feels so right to me that I plan to link to it on my blog tomorrow. Thanks for explaining things so simply. You’re welcome, Linda. I’m looking forward to seeing your post. I always appreciate your comments. Looks like a great list. Recently my wife and I have been living more minimalist. It brings about a freedom that most people don’t understand. The “get rid of stuff” is important. You never really realize how much “stuff” owns you until you finally let it go. Great post. Simple living really makes a difference in many people’s lives. I still have lots more stuff than I need or want, but I’ll eventually get rid of even more. Every item takes a piece of my attention that I’m not willing to continue to give up. Thanks for commenting, Ken. I keep a close eye on your projects and your Facebook posts. Great list, Gip. Simple living can be a bit of an ambiguous term and I think you nailed it. I especially like the last point about being a complete person. I always feel that balance is essential to simple living. Thanks for sharing. You’re welcome, Josh. Thanks for being part of the conversation here. I hope this list will be a frequent topic of conversation in the months to come. Gip…for starters – Happy New Year. Hope you had a great holiday. A difficult post. To articulate what defines minimalism and simplicity is the precursor to opening Pandora’s Box! I had to come back to this post after some thought but…there is something beyond time. A desire to eliminate unnecessary processes (or maximize efficiency). It is also important to recognize the motivation that leads each of us to simplicity and minimalism is different. It could be a spiritual desire, sense of community and belonging or environmental concerns about consumerism and it’s impact on the world. For other’s they could just be motivated to have and maintain very little because it’s too much work or it is a need to survive (the frugal mindset). There are many more motivating factors and they often overlap. Look forward to seeing this discussion develop. Thanks, Stephen. You’re right about needing to develop more about the motivations. I think consumerism, frugality and spiritual concerns are all involved for me. Again, thanks. I appreciate you thinking about your answer! Thanks, Mossy. I appreciate your comment. I hope you can comment more frequently in the future. Thanks also for you confident in this post. I hope I can refine the five points even further over the coming months. This sentence forces me to smile. I think it needs to be edited, to not only reassess being with people who have meaning to you — but also to be with those who value being with you. It’s a 2-way street, and I’m slowly backing away from people who I thought were friends but if that’s true how come they are only reactive and not proactive? It’s the same concept with reading blogs; why should I continue to comment on the same blogs over and over when their authors never comment on mine? Very good points, Ari. It’s important to at least attempt to surround ourselves with real people who find us meaningful. Those, I’m afaid, are hard to find. I find myself commenting on blogs less than I once did, but I still do it because I like to be involved in the conversation.